I like to take leftovers and repurpose them. 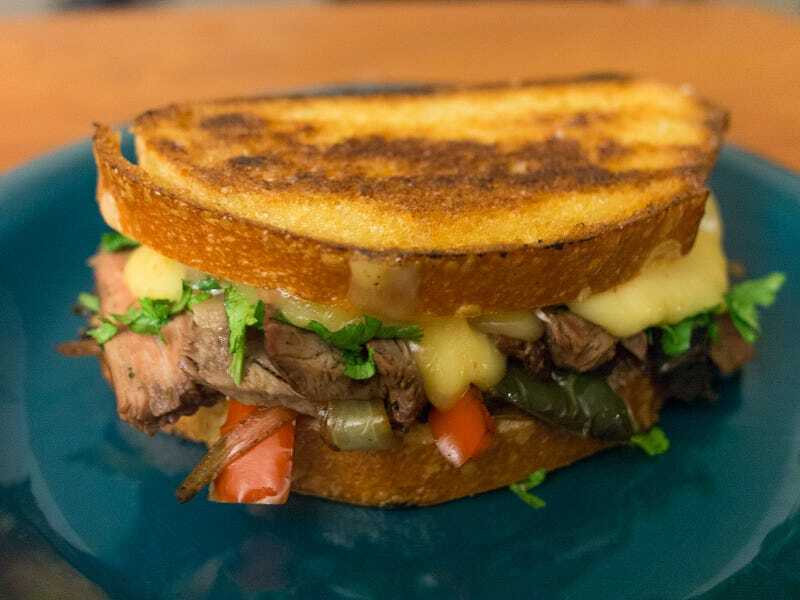 So I took some leftover grilled skirt steak, and made it into a sandwich with sauteed peppers and onions, chipotle gouda, cilantro, mayo and sriracha on grilled tuscan bread. The best ingredient? Murphy Farms hand-rolled butter for browning up the bread.